Wow! Colleen starts this book with a bang! I was so nervous; I knew the book was going to be sad. I didn't expect to cry through the entire prologue. 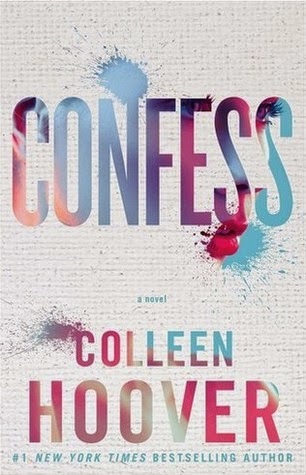 Colleen really does take you on a roller coaster of emotions with this book. I don’t want to give anything away; I think it is best to go in blind. Be prepared for all the feels, have a box of tissues and a glass of wine handy. You’ll need them. Better yet buddy read with a friend! Everyone has a secret; they stay secrets until we confess. I never thought of it like that before. Liberating yourself of a secret, what an amazing feeling especially when you can do it anonymously. Some of the confessions in this book will break your heart, others will make you happy. My thoughts go out to all the reader who submitted these difficult confessions. Because I don’t want to ruin anything for you I will share with you my favorite quote and favorite scene. I won’t quote the scene exactly, just some highlights. "I'll love you forever. Even when I shouldn't. But in the next second, she begins to take off in a sprint in the other direction….He turns to run after her, to pull her back, but I’m suddenly in front of him, blocking him…. But one punch is worth it, because it’ll give her enough time to get back to…. Read it! Feel it! Love it!